• What it takes to be a Producer. • How to become a Producer. 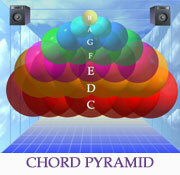 • A simple step-by-step process for actually producing a band or group. 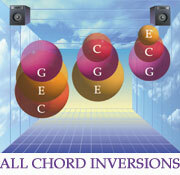 • The high level values that major producers utilize in a production. • The variety of roles that a produce must take on. Then, the role of the producer in the recording studio is covered: To create an atmosphere of detailed concentration and focus. • Anyone wanting to become a Producer. • Any Producer who wants to hone their skills. • Executive Producers or anyone who is funding a project. It gives the EP an overview of what it will take to do the project. • Anyone who is doing any type of recording, because when there is no producer, the band and the engineer become the producers! • Anyone who is shopping or considering hiring a producer in order to make the best choice and be able to work with them. ` – How Important is It? “The book covers past, present, and future music production techniques for any aspiring as well as veteran producer. I’ve seen techniques in the book that I took for granted from years of experience, (good & bad). The book pin points what every producer/songwriter/arranger/ engineer and of course DJ/producer must deal with in a simplistic and systematic approach on the road to being successful. The book includes proven secrets & tips from a wealth of successful producers. I believe “The Art Of Producing” very rapidly, will become the aspiring Producers reference Bible. 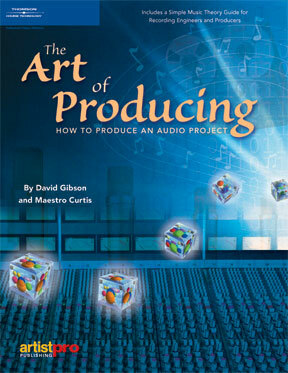 It is the most thorough book I’ve seen that goes in depth to the whole producers process of production techniques from start to finish. (I wish It had been available to me when I was searching to find out exactly what a producer does). No one book can guarantee “Hit record” success, but I would venture to say that with the wealth of information contained inside, “The Art Of Producing can save you from endlessly scratching your head and second guessing yourself, and everyone else involved trying to achieve it”.